When he was stopped for speeding on the motorway a Lurgan man admitted to police it was a ‘fair cop’. 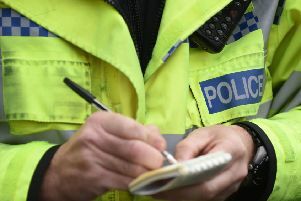 Alexander Clarence Edwin McCambly, Glenshane Avenue, Lurgan, was fined £120 last Wednesday at Craigavon Magistrates Court for excess speed on April 1 this year. He was also given three penalty points. The court heard he was detected travelling at 83mph in the 70mph limit on the motorway. When stopped by police he said it was a ‘fair cop’. He had no record. A solicitor representing the defendant said he could offer no real reason other than he was overtaking and his speed crept up.